Camp is about discovering passion, building confidence and learning new skills. 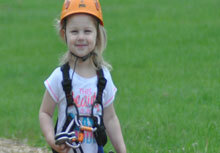 We work hard to foster your child's independence and emotional growth with a fun, outdoor adventure setting. It's our specialty! A day at Treetop Eco-Adventure Park is absolutely awesome. It all starts with the careful attention we pay to creating great groups, assigning enthusiastic and well-trained staff and providing a balanced daily experience that combines amazing activities and environmental programs. 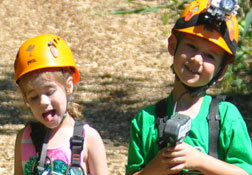 Treetop Eco-Adventure Park is a family, and that is how we treat every camper, like they are one of our own. We care a lot, from the attentiveness of our staff to the follow up of our guides, our families know that any concern will be dealt with personally and professionally. 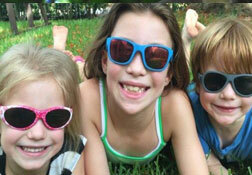 We help kids learn through outdoor play, we are the original play station! Our beautifuly outdoor spaces all campers of all ages a balance of supervised free-play and structured skill development. This unique woodland setting gives campers a sense of being away from their everyday routine and helps them develop a keen sense of independence. Whether it is playing soccer or crafting or zipping through the forest our campers are learning important life skills such as team work, perseverance and how to make and keep friends. At Treetop Eco-Adventure Park every child is celebrated. We love that no two campers are alike, that each child has their own special set of of strengths and challenges. In turn, our staff have the tools, training and commitment to give every camper the most memorable week ever. Everyone is welcomed into a balanced group to ensure no one is left out. We only hire outstanding leaders and staff. To create something amazing you need amazing people! This is an outdoor camp which may be physically challenging and there is no airconditioning available. Especially necklaces or loose bracelets which could get caught in equipment. Clothing should be close to the body to avoid catching in equipment. Dress appropriately, Treetop Eco-Adventure Park is NOT RESPONSIBLE for damaged clothing. This is an outdoor forest activity there may be insects.